It is also known as "coconut cream" or "coconut powder". 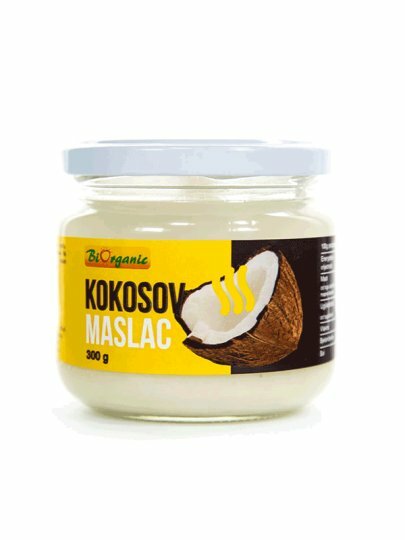 It is obtained by finely grinding dried coconut and contains about 65% coconut oil. It is exceptionally tasty and is a healthy substitute for butter, cream or cream of animal origin. You can simply squeeze it on bread or crackers, mix in seasoned meals at end of cooking, or use it for various desserts, cakes, pastries, desserts, sauces, and the like. If you mix 50 g of butter with 100 ml of water you will get coconut milk. Oil separation can occur at the top. This is a natural phenomenon and does not affect the quality of the product. To melt it, put the jar in a bowl of hot water approx. 10 to 15 minutes and stir. Keep in a dry and dark place. It is not necessary to keep it in the fridge. At lower temperatures it is in solid state and above 24 ° C is melted.